Are you a 'sageuk' drama fan? 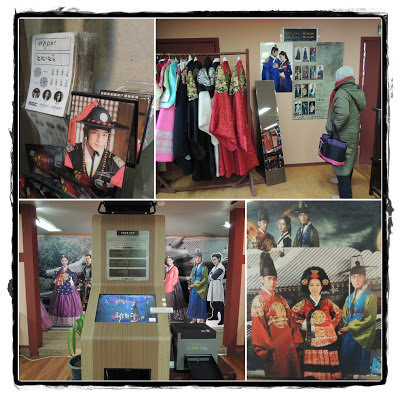 사극 'sageuk' means historical drama. 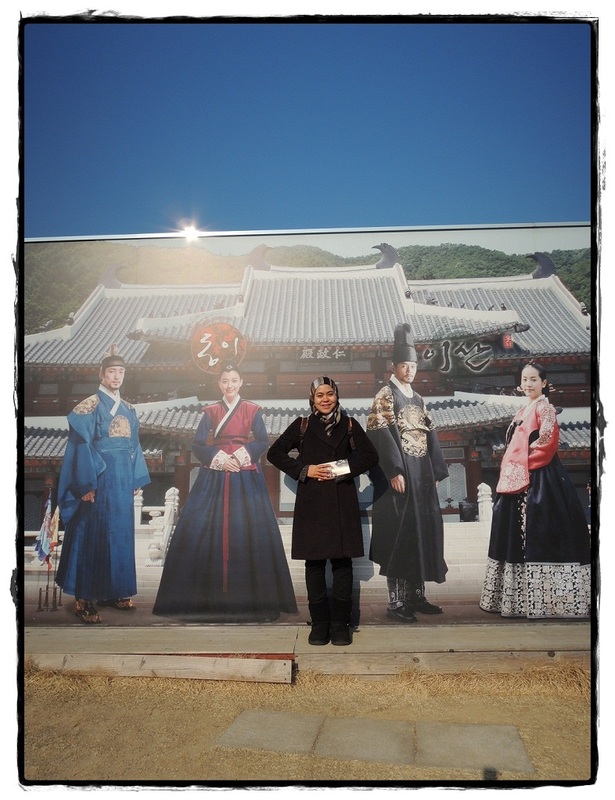 I am for one is not a fan not until after I discovered Kim Nam Gil, my 동생 in the historical drama Queen Seondok by MBC which made me visit Queen Seondok's tomb with Afrianny. Heheh.. The long episodes - at least 50? I wouldn't think I would come to MBC Dramia ever in my life. But no harm trying and once is enough I guess. Definitely not going alone so I asked Feia to hop along. The capacity of MBC Dramia is huge!!! Of course, it's a drama set, what do you expect Zarina? 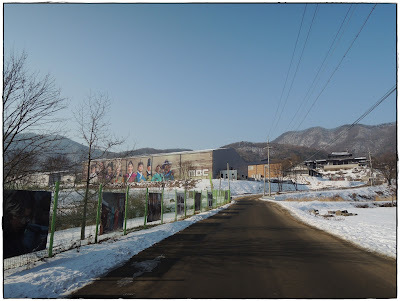 However, it's kinda outskirt..slightly more than 1 hour from Seoul. But you don't need 3 hours to explore. I think 2 hours is pretty nice to wrap everything. Unless...there is a drama filming going on and the chances of you meeting your favorite Korean actor and actress is high. On the day we visited MBC Dramia, there was shooting going on for drama Horse Healer or Horse Doctor (마의) starring Lee Yo Won and Cho Seung Woo. The weather was kind, slightly windy and bright blue sky in January's winter. 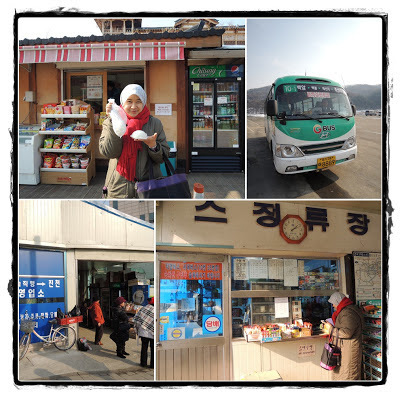 We took the 9.30am bus from Nambu Bus Terminal to Baekam, the nearest city to MBC Dramia. 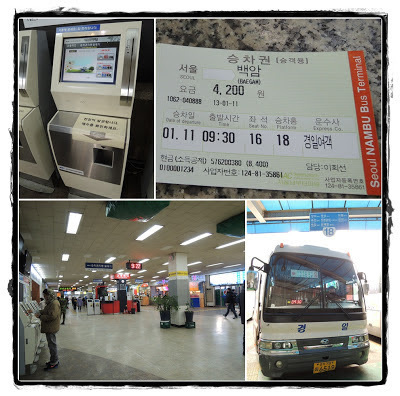 The bus fare is 4,200won and you can purchase the ticket either at the counter or the self-payment machine. You may also use your T-Money in the bus, however you should tell the driver your destination cause the bus has many stops. Tell him that you will be dropping off at Baekam 백암. The platform number is 18 and we showed our ticket to bus driver. There was announcement in the bus for Baekam and the bus stopped about a minute after that. 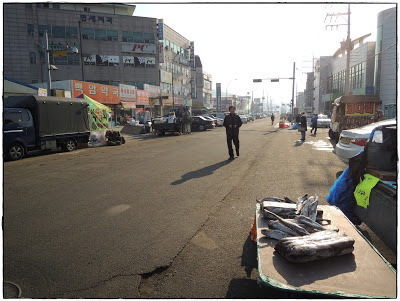 Baekam is just a small town so don't expect much. We were dropped off here @ Baekam town. By that..there is not even an English signboard for Baekam bus terminal. Beware...hehe. Since we missed the first bus to MBC Dramia, we just took a taxi which costs us 8,000won one way. The view of snow on top of the hills and on the harvested paddy field was breathtaking. There were lines of cute little Christmas trees showered with snow which we didn't have the chance to snap it on our cameras. Ahh...아쉽다. My 2,000 won discount coupon which I had from Seoul magazine (January 2013 edition) cut out was not valid for 2013 because the due date behind was until 2012 (gawdddd!!). 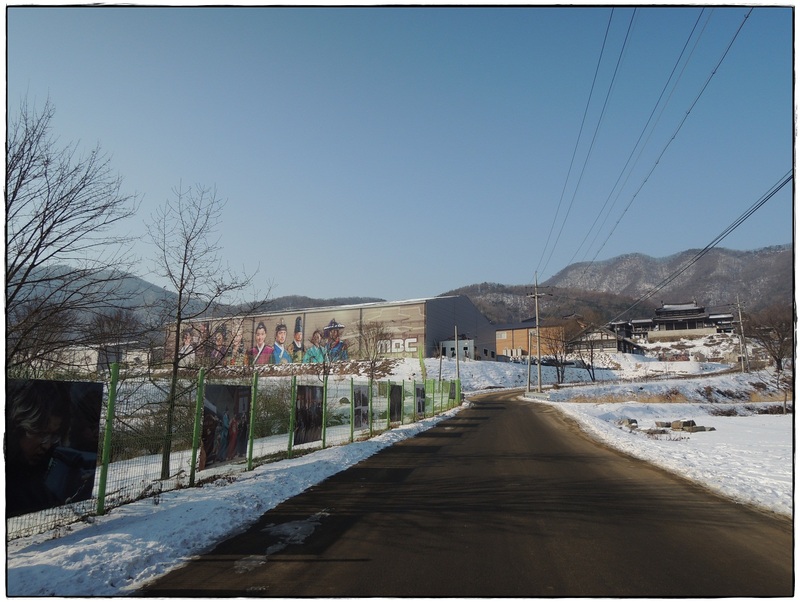 So, we paid the 7,000won admission. After entering the place, expect much hiking and walking. Plus many cut out boards of the main characters from the dramas ie. 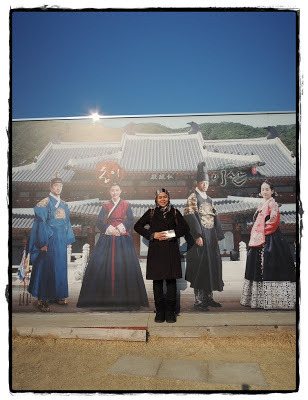 Queen Seondok, Jumong, Dong Yi, Arang and the magistrate and etc. The visitors were scarce. Only some Koreans and us. 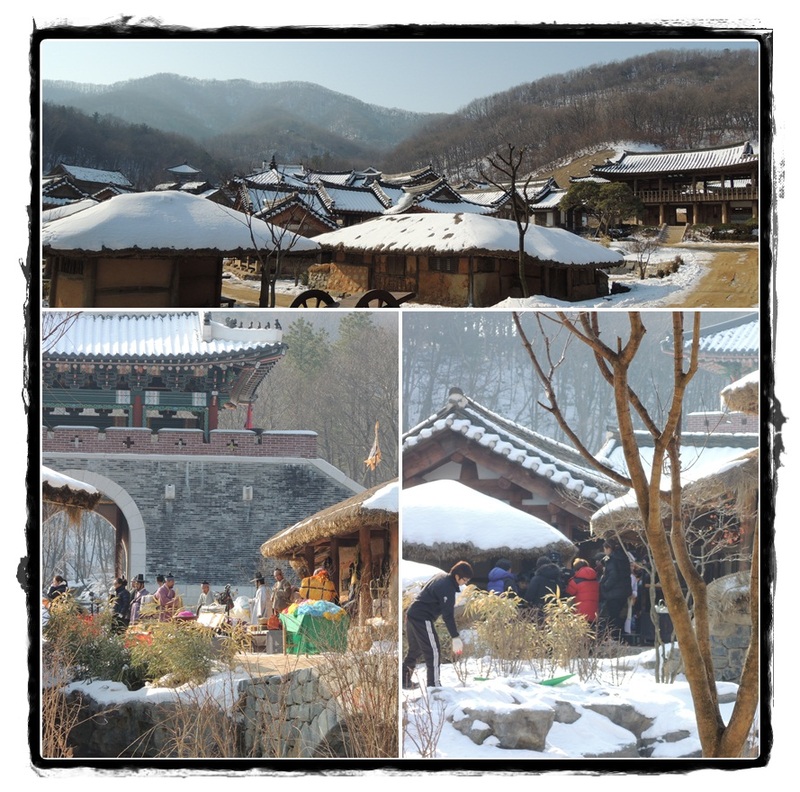 The only memorable thing was that that we could be about 10 metres away from an actual filming of Horse Doctor 마의 drama. Yeay!! After watching the filming for about 15 minutes, I belatedly realize that the main characters would not materialize any time soon, we just walked away. 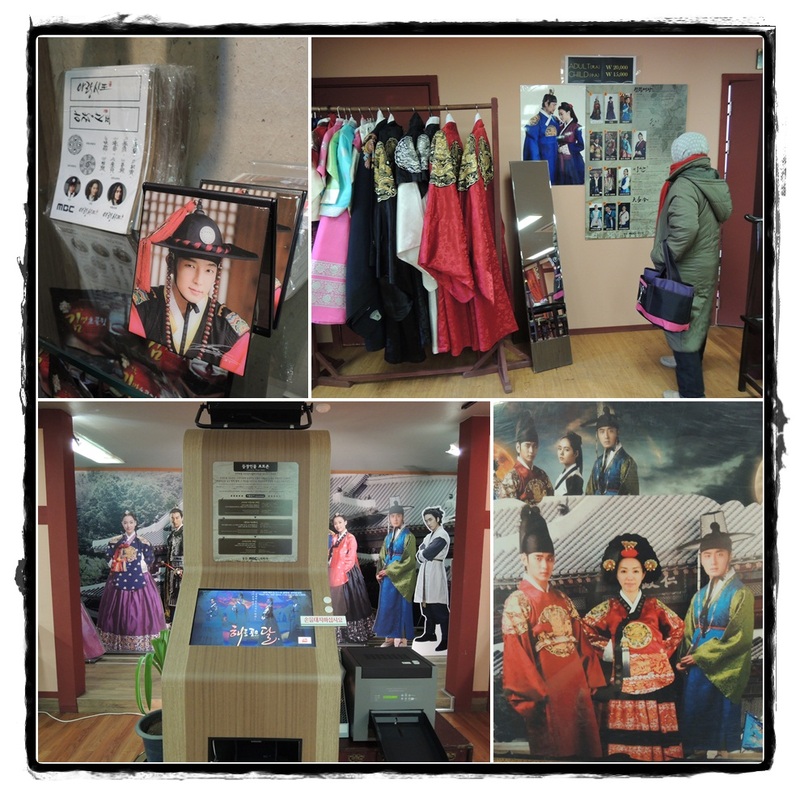 We went to the other building down the hill where you could buy some snacks and take pictures of you wearing period costumes with again...the cut out board of the actors and actresses. Pay 20,000 won if you want but we passed. We were famished! Just grabbed 찐빵 for 800 won and went back to the parking lot to wait for the shuttle bus back to Baekam. The fare is 1,100 won with T-Money and 1,200 won by cash. 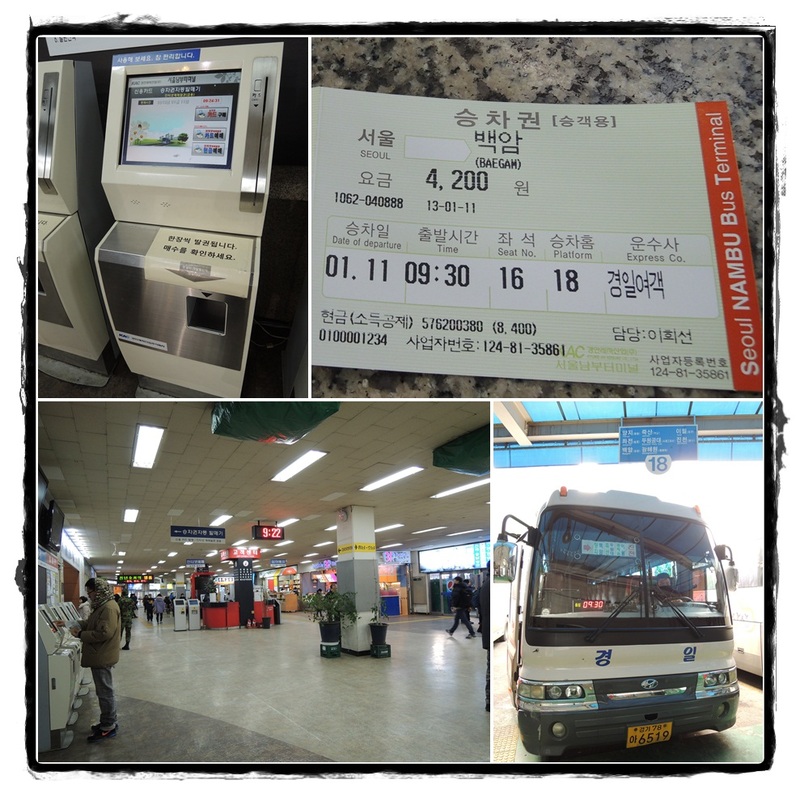 Going back to Seoul, Feia bought ticket from Baekam bus terminal while I tried my T-Money on the bus. The bus has no assigned seat unlike when we rode the bus from Nambu Bus Terminal. In summary, nothing too great about MBC Dramia but once doesn't hurt. Try it..but make sure your visit coincides with drama filming. That would be better.